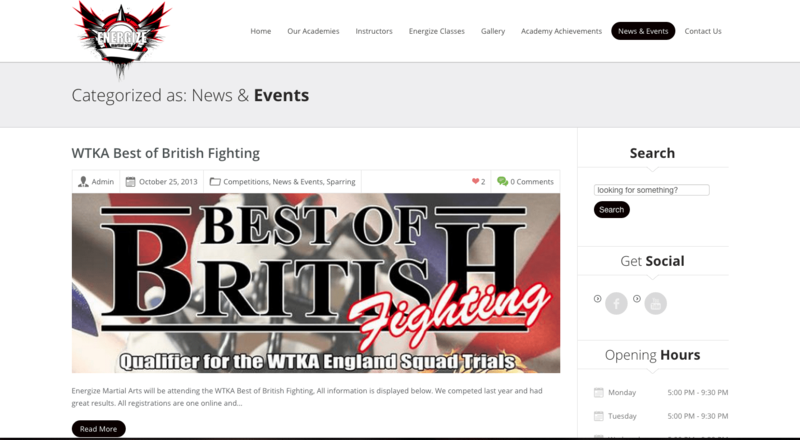 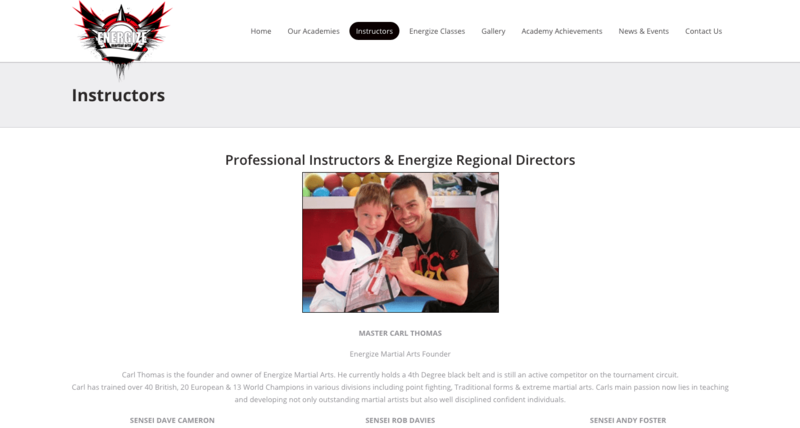 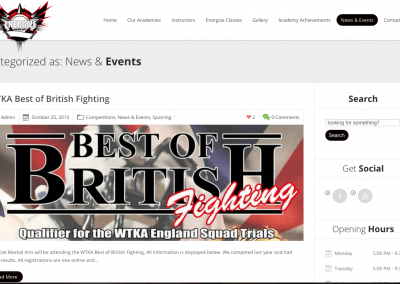 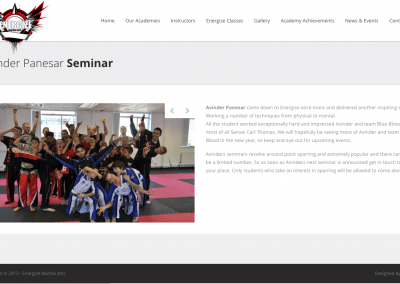 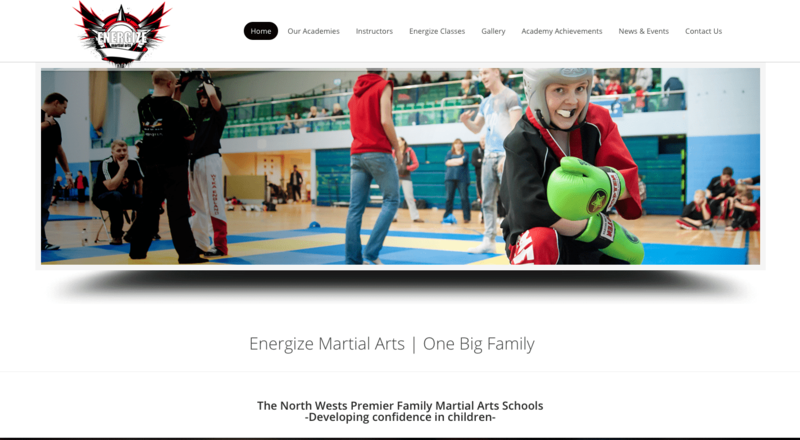 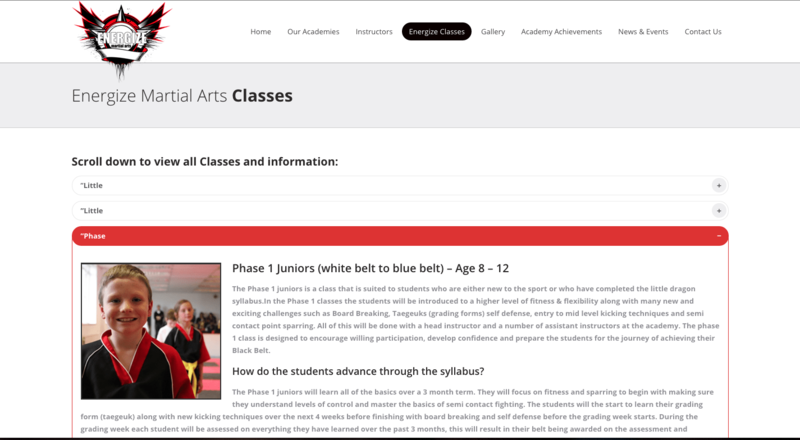 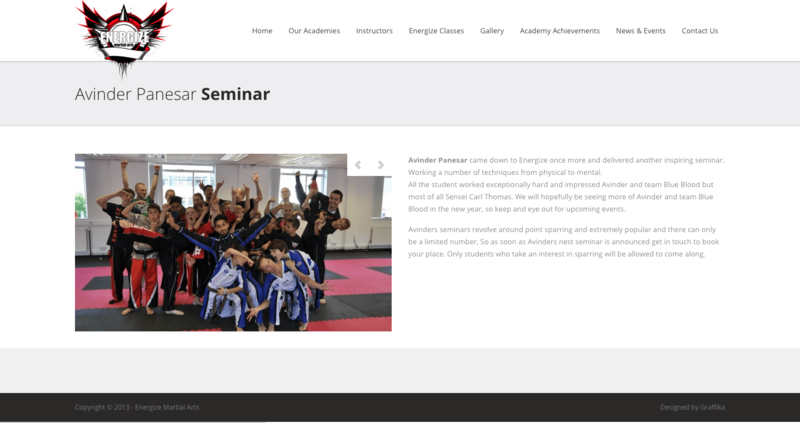 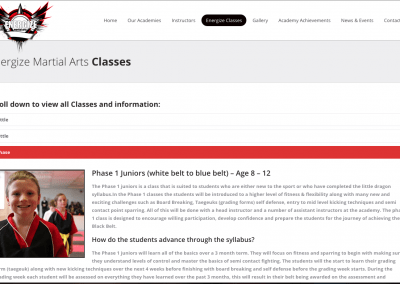 Energize is a local club who approached us to give their Martial Arts website a new look, and give them the facility to update it and change the galleries themselves. 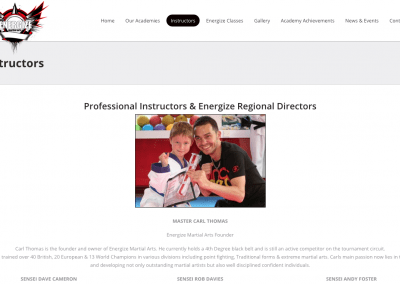 Energize are extremely pleased with the results and it has helped them to promote the club to a wider audience. 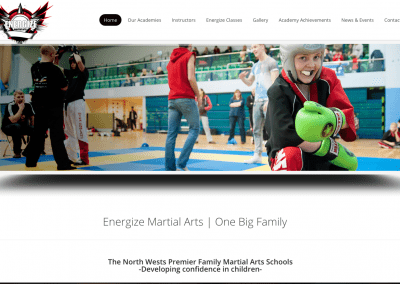 Energize have regularly uploaded news, images and videos and they now have a waiting list of people wanting to sign up.